Margret Snow is lonely and figuratively lost at sea. After the tragic loss of her husband, Charles, she loses interest in her promising job of dressing windows at her friend Emily’s art gallery and at Saks Fifth Avenue in New York City. Instead, she is a secret, amateur taxidermist by night, finding small dead birds in the city parks and near buildings to take home and stuff. “[She] always had a Baggie in her pocket, just in case she found something fallen.” Margret’s fascination with birds started with her Grandfather Milton who was a birder and entomologist who took her bird watching when she was young. This is a novel about a woman with an unusual hobby, but the story is good and encourages you to find out what happens to Margret and her bird collection. I also enjoyed the detailed descriptions of Margret’s window dressing projects. A fascinating job unto itself. Thank you to Laura Jacobs and LibraryThing’s Early Reviewers for giving me the opportunity to review this book. 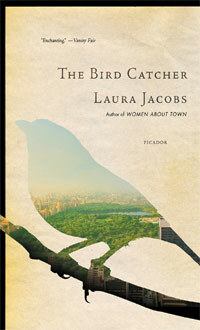 You may find more information on Laura Jacobs at http://www.laurajacobs.info/.